In the far future, humanity has expanded and prosper over the galaxy. One day, a mysterious alien army from a different dimension appear and attack the border planets. The fight for mankind survival begins. As a veteran pilot, you have been called to defend the galaxy against invader enemies! 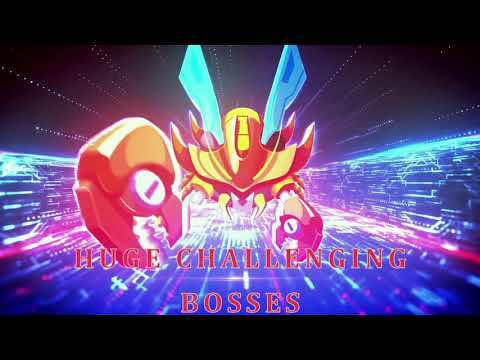 - A broad range of enemies: From the lowly common soldier aliens, to the powerful Elites, and the humongous Bosses. Each has a different looks and behaviors. - Campaign mode: experience the mounting difficulty with unique challenges on the way. Continuously updated with new contents. - Wide array of spaceships to collect, each with unique skill and playstyle. Choose your spaceship, destroy the alien invaders and protect the galaxy. Show them what you’re capable of! As an extended version of Galaxy Attack: Alien Shooter, this version has much better graphic designs. We also changed something in core game mechanic like weapon skills, item skill, ship part & evolution types. With various types of spaceship, you could build a strong air force and join the galaxy wars. The old style of shoot ‘em up game is now modernized with a fantasy theme. We keep using retro shooting game mechanic like level with waves, bullet hell bosses but added more interesting content. You can see the same feeling like Galaxy Attack: Alien Shooter as the other retro shooting game. But, this one could be a brand new one. Let’s try and enjoy it - Galaxy Invaders: Alien Shooter! Welcome to Galaxy Invaders: Alien Shooter. Build your strong air force, and enjoy the game!